In a seminal paper dealing with a sample of only 41 pulsars, Gunn and Ostriker (1970) first demonstrated that the population of pulsars could be associated with the deaths of massive stars. Gunn and Ostriker also showed that pulsars have very high space velocities at birth, velocities which far exceed those of their progenitor population. The left panels show the space evolution of the inner region of the simulation domain for one of the models presented in this paper. The right panels show the entropy evolution of the explosion. The explosion happens mostly in the negative direction, and thus the PNS recoils in the positive direction. After 800 ms, the PNS has almost entirely decoupled from the ejecta. 2) The explosion. As initially suggested by Bethe and Wilson (1985), it is believed that the neutrino release from the PNS ultimately drives the supernova explosion. There are, however, some problems with this scenario. Most models don’t actually explode on their own, including those presented in this paper. In this work, the authors take the common approach of artificially increasing the neutrino luminosity in order to drive the explosion. 3) The propagation of the shock front the star. I left a little something out. When the PNS forms, there is “bounce” that produces a shock wave. But, that shock wave stalls, and needs to be revitalized by the neutrino flux. During this time, Rayleigh-Taylor Instabilities develop. Modeling this process is key to understanding the explosion asymmetries. 4) The decoupling of the PNS from the envelope. Asymmetries develop in the shock wave, but in order to understand how this affects the velocity of the resultant pulsar, the authors must track how and when the envelope, where the shock wave is, and the PNS interact. 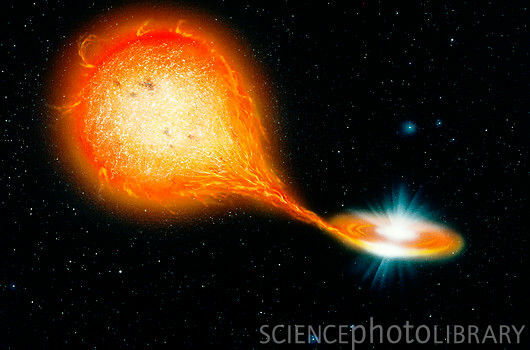 For more on supernovae explosions, see previous posts by Nathan and Maria. The authors follow each of these processes for a number of models presented in this work. They find, that normal hydrodynamic processes (i.e. fluid dynamics!) produce large enough anisotropies to generate pulsar kicks as high as those in the observed population. This reinforces previous results that exotic neutrino physics are not needed to explain high pulsar velocities.